WordPress has been around since 2003 and is the most popular blogging software on the market, powering almost a third of the known web. It has also now established itself as the content management system (CMS) of choice. Its professional-grade software, combined with its flexibility and ease of use has made it popular with web developers and complete beginners alike. A CMS is the user interface application used to upload, edit and manage all content on a website without having to learn code. This spelt the gradual decline of web design software like Dreamweaver. In other words, if you wanted to add a new page to your website, this is where you would log in and follow a few simple steps to do that. Wordpress is already powering a quarter of all websites and we predict no end to its popularity and have explored some of the issues surrounding hosting with WordPress below. Check our curated list of the best WordPress web hosting services and our best managed web hosting list which includes a number of managed WordPress web hosting firms. 1. Why is WordPress so popular? It is as powerful as enterprise grade CMSes. Linux server : Most hosting companies will allow you to choose between Linux and Windows. Go for Linux. Linux is compatible with several development languages. Unless that is, you plan to use Windows-specific applications, in that case, Windows hosting is likely to be the best choice. A good control panel such as cPanel or Plesk : Without a control panel, you’ll have to rely on the web hosting company for even the most basic changes. This is not ideal. cPanel, for example, is an easy-to-use system that even non-professionals can use to customise their sites. PHP support : PHP is a server-side scripting language for web development, although it is also used as a general purpose programming language. LAMP (Linux, Apache, MySQL, PHP) : As a solution, LAMP is used for building dynamic websites and applications. Although some of its components are interchangeable, it is generally found in this configuration. MySQL databases : MySQL is an open source relational database system that is a central component of the LAMP open source web application software stack. Unless you need a private, dedicated server for hosting your web site, we recommend choosing a website hosting package to start with. This keeps costs low and will be adequate for most small business sites and blogs. However, if you have a high-traffic website, then a shared hosting plan might not be right for you. Traffic spikes can quickly overload a shared hosting account’s capacity, especially if your site has a lot of plugins or a badly designed theme. If your blog has a moderate to high amount of traffic and gets periodical spikes in traffic, then you should strongly consider a VPS. Additionally, if you are running a site for business purposes – entrepreneurial bloggers, small businesses and eCommerce sites – then it is important to have a “well-oiled machine” that is always up and running smoothly. If your site crashes periodically or doesn’t load quickly, then you could be losing money as visitors move along to other websites with better performance. If you are considering a VPS, then we highly recommend a managed WordPress hosting provider, as they specialise in WordPress and can deliver even better performance than any VPS. Running a serious business with lots of traffic? You’ll probably want a managed hosting package for that. 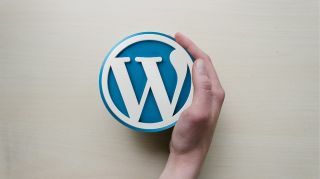 When you choose a managed WordPress hosting company, they will handle all of the backend tasks associated with your WordPress-powered website. They focus on what they do best so you can focus on what you do best. In addition to hosting your site, they provide WordPress-specific knowledge and expertise. This specialty service allows them to focus on such things as WordPress performance, security, optimisation and other necessary services specific to WordPress. Having people who know the ins-and-outs of WordPress and all of its features will ensure that your website gets the best care possible.